We have valet services available at the hotel check-in/front entrance of the casino or ample parking around Sunset Station. Bring your family and friends for a special night at one of the best Italian restaurants in Las Vegas. Sample our appetizers and antipastos while unwinding at our lively wine bar, where you'll enjoy a sophisticated ambiance, an incredible selection Italian cuisine and a superior selection of fine wines. Athena was great! Food, ambiance. Best cappuccino. Great food and great service. Also the prices are reasonable. Decent Italian, nice room and good service. The food is average. My Ceasar salad was dry and on the small side for $9. My entree was linguini with clams. Lots of clams, no grit. White sauce had a good flavor and was savory. My wife had pizza which had a thin crust but a little soggy in the middl and sparse on the edges. With a little tlc it would have been perfect. Service was not good. I think our server had to many tables. I would have rated you higher but my Lasagna portion was extremely small (compared to the other dishes) and it was cold...not warm, cold. Food is always amazing, service is outstanding thanks to Russell. We enjoy dining here a couple times a month. food was great. service was great. everything was great. what more needs to be said. Well we sat for at least 10 minutes before we flagged down a manager who ushered a waiter over. Mind you that same waiter made eye contact at least 3 to 4 times and never once asked if we were helped. For the balance of the dinner the waiter who was given our table essentially focused on the other 3 tables she had when we came in. Ignored us almost entirely while making multiple trips to the other tables. Manager tried to make up for it, but frankly service here continues to decline. Food great, service awful. Great service and awesome food. Definitely will be coming back again. It was a great experience. We didnt have to wait for anything. We split a ceaser salad, which was very light and a good suggestion by our waitress. Bread was good and a nice surprise. We ordered the baslamic chicken pizza and chicken parm. Both were very good. Pizzas are big enough to share. I also had this lemonchello drink that was very very good! The problem with this restaurant is not that food is horrible. It’s decent not great. 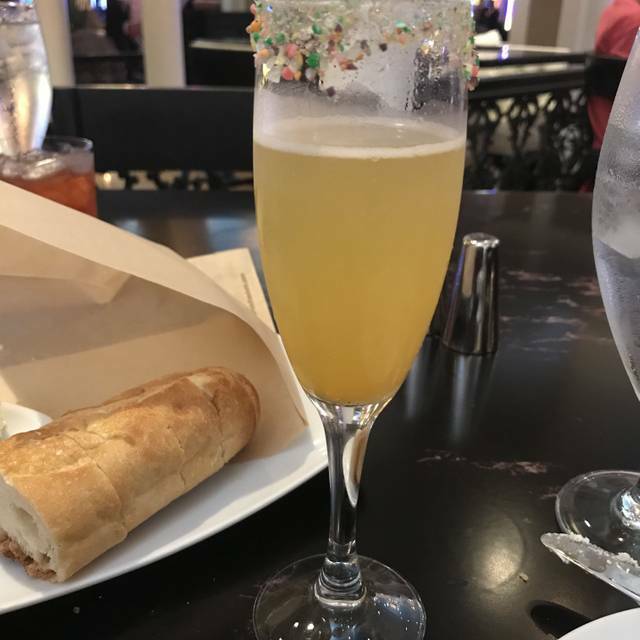 The problem is that they haven’t changed the menu in a long time and the appetizer choices are very limited and the entree choices could reflect a better selection. The spaghetti with marinara is poor. Almost not fresh/over cooked and the sauce is sour versus flavorful. We have tried the Osso Bucco twice. It is soggy and tough. I don’t think it’s made fresh. I think it’s frozen and microwaved in my opinion. If you can’t make it fresh everyday than take it off the menu. There is no room for restaurants to be using frozen food. Everything needs to be cooked to order. I think they need a better head chef or executive chef and more inventiveness and change to the menu. The team doesn’t seem excited about what they serve. Service is generally good. Unfortunately the assistant servers never seem to know which items go to who at the table. That’s a lack of commitment to excellence. I don’t mean to be tough. I’m just giving an honest assessment and hopefully management will make changes and to help potential diners know what I have experienced. Outstanding service, everyone was very attentive and friendly! the food was great. the service was great. wasn't overly noisy for a friday night. Always wonderful! Love this cute restaurant with excellent, inexpensive, delicious food! Love the servers here too! Good food and yummy desserts. Ravioli, lasagne, even gluten free pasta, everything tasted good. We tried several desserts...the canoli, pistachio ice cream and lemon something...all were delicious! This restaurant is over-priced and although we had a great server, the service was very slow. We sat for a long time before they even took our drink order. The comparable Italian restaurant at Boulder Station is 100% better than this one. everything went well- we reserved for 4 people but 7 people came and the waitress immediately adjusted table arrangements with a smile. It's kinda pricey for average food. And I was charged twice. The staff were friendly. But should pay better attention. The food was delicious as usual. We got the $39. special and both meals were spectacular. The service was awesome. Our waitress was fantastic! Always a fantastic time at Pasta Cucina! The staff are always really pleasant and welcoming, wonderful FRESH food! 10/10 would recommend to anyone looking for a nice Italian dinner. The stuffed mushrooms were very bitter. In fact we just took one bite. We didn't them. I thought the waiter would have taken them off the bill. When we told the waiter the mushrooms were very bitter. He remarked; well maybe the main course will take the bitterness away. The mushrooms remained on the bill. The waiter also briefed us on the menu specials, as we started to order he said I'll be right back. He returned 10 minutes later. Offered to refill our glasses of water after we were done with our meal. Pasta Cucina is a great value. The food is expertly prepared for a very reasonable price. There's no turn-over in the staff so the service is very good. Table busing was a little hasty (little training needed here) but overall a great value. Our waiter (Jose) was very much a professional. I'd have no problem bringing family or business guests to this location and feeling like we gave them a dining experience. they have been running a special for a while, and it's definitely worth a shot. two salads (choice of two kinds), two entrees (choice of three kinds), and two gelatos for desert. $39. Very nice. Sat outside of bar. The only thing I didn’t feel comfortable with was a couples’ service dog on the other side of the bar rails. Awkward. Good food, great service. Reasonable prices. Great food, great chicken and pasta dishes. Priced very reasonably in a nice setting. A favorite place to visit when in Vegas. Russell the waiter is very rude. He gets upset when you do not order what he thinks you should order. I think he wants you to order expensive items to increase his tip as he told us not to order off the special menu. Also after the meal he told us how many points were used but did not bring us our receipts.We had to ask him twice before both couples got their respective receipts and you can tell that he was annoyed by this request.. In the future we will ask to not to be served by Russell. We sat at the bar and our bartender was fabulous! She was very accommodating. Overall a good experience. Food was good and plentiful - no complaints. The service was also very good. We did have one issue -- the stench of cigarette smoke coming in from the casino. The stench really brought the experience down a notch or so. We had dinner at Pasta Cucina on New Year's Eve...it was a good experience and we enjoyed the food. We will definitely be back again. We go every year for New Year's dinner. We also go for our anniversary and Valentine's day. We love the food and service. Great place to eat with a big or small party. Great food and service. Pasta Cucina is a nicely decorated restaurant with a warm and up-scale atmosphere. The menu provides diners with a wide array of choices. The staff is very courteous. We were seated and served promptly. The dinner itself was very tasty and satisfying. Even though the location is open to the casino there was a sense of privacy. 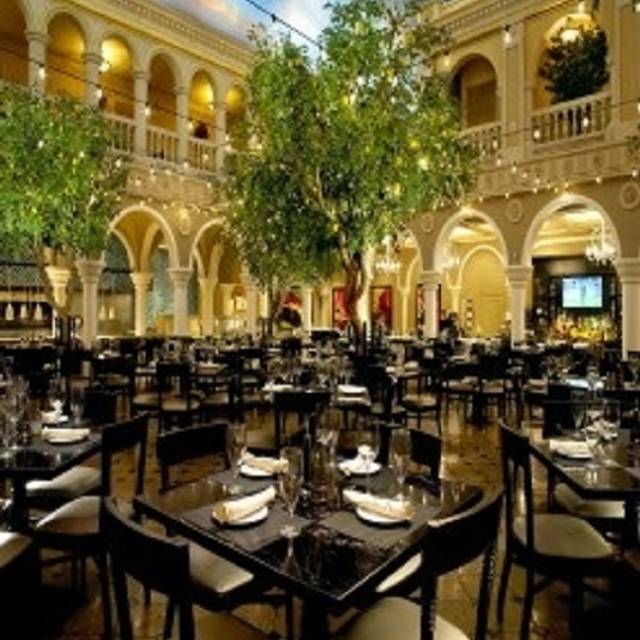 We have dined at Pasta Cucina on may occasions always feeling positive about the experience. Food was great as always, we will definitely be back! Aside from feeling unwelcomed by the host, I definitely like the atmosphere and food of Pasta Cucina. I suggest making an open table reservation as there are times when this restaurant is busy and waits can tend to be a little long. They have an extensive list of wines although I don't drink and prefer water. I've tried the Lasagna and Penne so far and am always satisfied. 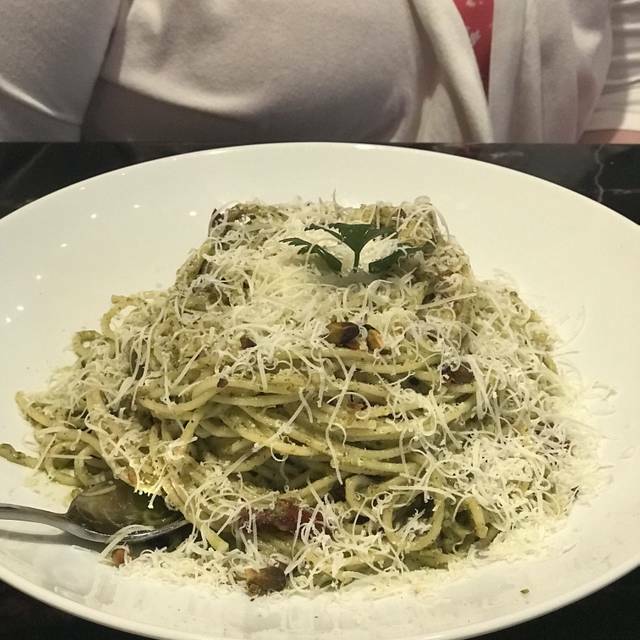 Like any other Italian restaurant, portions are large and can most times feed two people with one dish.